MyPhone RIO smartphones will be having a Nationwide Sale on May 14 to 16. Avail your favorite smartphone with up to 60 percent discount. Check out the details here! MyPhone fans rejoice! The local company is having a nationwide sale dubbed as the MyPhone RIO Nation Sale on May 14 to 16. The sale will cover selected Rio handsets that probably include the MyPhone RIO 2! Basing on the company's published marketing material, the sale will cover as much as 60 percent off of these RIO devices. Come to your local MyPhone Kiosk, Stores or selected warehouses and grab you MyPhone for a discounted price. 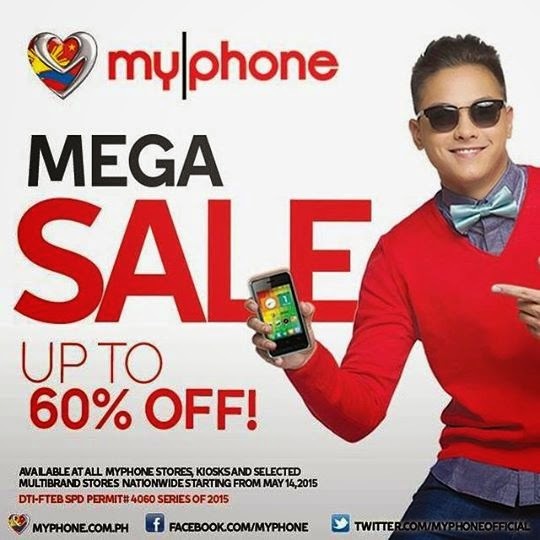 MyPhone is yet to publish the devices that will be included in the "Mega Sale." Stay tuned for more information.